The Logitech Type+ also has an automatic on/off feature, including auto-off when the keyboard is laid flat for browsing. Priced at $99.99, it's available in black, dark blue, bright red, bright green, electric blue or violet. The Logitech Ultrathin has also been updated for the iPad Air 2. 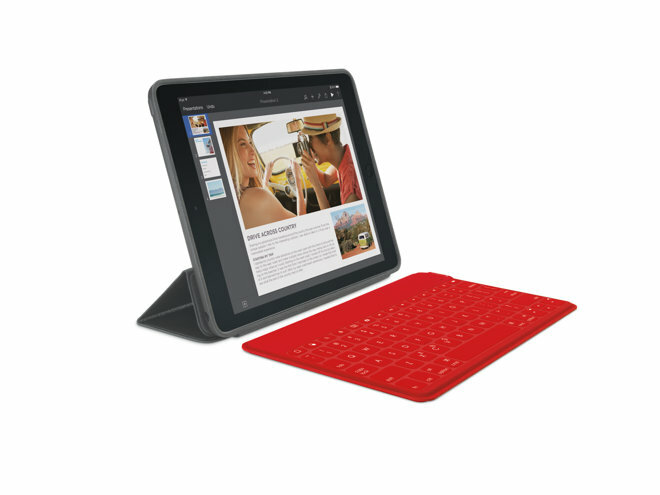 It's also a case-keyboard combo that protects the screen of the tablet when on the go. Made of high-grade aluminum material, the Ultrathin boasts a battery life of up to two years. It also has an adjustable magnetic slot to allow the iPad Air 2 to be angled, it comes in space grey and silver, and it's priced at $89.99. 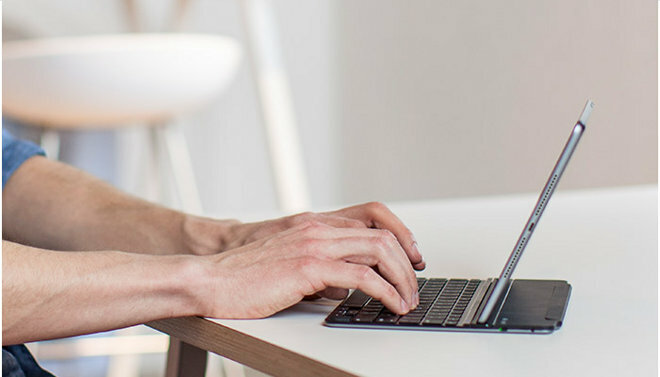 Finally, the Logitech Keys-To-Go are intended for all iPads, serving as a standalone ultraportable keyboard just 6.1mm thick and weighing 180 grams. The keys offer tactile feedback, but are fused into a water-repellant FabricSkin covering that protects it from spills and dirt. Keys-To-Go come with a rechargeable battery that lasts up to three months on a single charge. The keyboard is compatible with all generations of iPad and iPad mini, is available in black, red and teal, and sells for $69.99. For more cases and keyboards for the iPad Air 2, iPad mini 3 and more, see AppleInsider's complete roundup guide.